WHEN we made our annual foray into the executive pay gold mine in April, chief executives’ earnings for 2012 showed what appeared to be muted growth on the year. The $14 million in median overall compensation received by the top 100 C.E.O.’s was just a 2.8 percent increase over 2011, the figures showed. 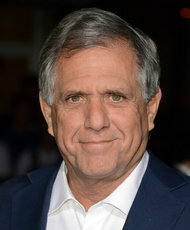 LESLIE MOONVES CBS. Highest total cash compensation: $32 million. 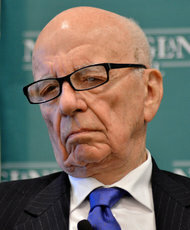 RUPERT MURDOCH News Corporation. Largest base salary: $8.1 million. Well, what a difference a few months and a larger pool of C.E.O.’s make. According to an updated analysis, the top 200 chief executives at public companies with at least $1 billion in revenue actually got a big raise last year, over all. The research, conducted for Sunday Business by Equilar Inc., the executive compensation analysis firm, found that the median 2012 pay package came in at $15.1 million — a leap of 16 percent from 2011. So much for the idea that shareholders were finally getting through to corporate boards on the topic of reining in pay. At least the stock market returns generated by these companies last year exceeded the pay increases awarded to their chiefs. Still, at 19 percent in 2012, that median return was only three percentage points higher than the pay raise. In other words, it’s still good to be king. As usual, cash pay for many of the managers pales next to the value of the stock and option grants they received. Median cash compensation was $5.3 million last year, while stock and option grants came in at $9 million. Stock grants are clearly where the action is, and their value can really add up. Equilar’s analysis calculates the median value of stock holdings of these top C.E.O.’s at $51 million. The trouble is, stock grants, which are supposed to create an incentive to improve a company’s performance, are also where pay excesses and disconnects arise, compensation consultants say. How these boards measure corporate performance can create pay problems by failing to align long-term incentives with shareholders’ interests. This is a significant lapse, given how hefty the incentive awards of stock or options can be. Performance shares generally comprise at least 50 percent of a typical chief executive’s long-term incentive award, consultants say. The median of combined stock and option awards last year for the 200 C.E.O.’s on the list was 60 percent of pay. But individual cases can be far larger. 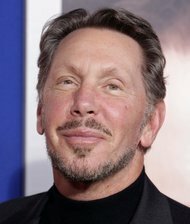 Mr. Ellison received $90.7 million in options in 2012, or 94 percent of his nearly $96.2 million in total pay. Over all, Mr. Ellison’s compensation was up 24 percent from last year; his shareholders’ returns, meanwhile, were negative 22 percent in the company’s fiscal year, which ended in May. At least shareholders of Level 3 and Nike made money on their stocks in fiscal 2012 — a gain of 36 percent at Level 3 and 30 percent at Nike. Activision’s holders weren’t so fortunate: their company’s shares lost 12 percent. 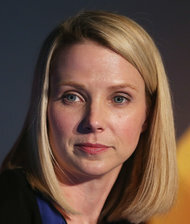 Cassandra Bujarski, an Activision spokeswoman, said Mr. Kotick’s equity award of $56 million was part of a new five-year employment contract he signed in March 2012, after two decades as chief executive. The award vests over five years, and half is performance-based, she said. BOARDS typically assess an enterprise’s performance not only internally against what occurred in previous years, but also externally, against a peer group of companies. Far too often, though, measures used by company boards to evaluate performance are focused on short-term results. They often miss a crucial element that determines long-term success: the ability to innovate. Companies that don’t weigh innovation in deciding pay, he added, are essentially rewarding the status quo and failing to reward moves to keep a company strong in the long term, including farsighted efforts to invest in research. There are several ways to gauge a company’s commitment to innovation. One is to look at research and development expenses as a share of revenue. Another is to look at return on invested capital, indicating how well a company uses its money to generate profits. This figure should always exceed the company’s percentage cost of capital. Mr. Van Clieaf argues that boards should assess these factors when designing pay-for-performance packages. Otherwise, executives could be rewarded for destroying shareholder value. Among the few companies to include an executive pay performance measure based on innovation is 3M, Mr. Van Clieaf said. Its “New Product Vitality Index” measures the percentage of the company’s total sales from products introduced in the last five years. “They recognize that to have sustainable growth and value, they must continue to be an innovation company,” he said. In an analysis for Sunday Business, MVC Associates International compared financial statements and executive pay at three tech companies: Google, Qualcomm and Xerox. Using data from Morningstar, Mr. Van Clieaf’s firm analyzed each company’s research and development costs, return on invested capital and stock performance over the last five years. He and his colleagues also calculated each company’s economic profit, which is after-tax income excluding acquisitions or divestitures that year, minus a charge for the capital used to generate that income. Then they compared these figures with the pay dispensed to the five executives at each company who were the highest paid over the period. The differences were striking. Not surprisingly, spending on research and development over the last five years was high at both Google (averaging 13 percent of revenue) and Qualcomm (22 percent). Sizable returns on invested capital were a result at both companies: Google averaged 18 percent a year while Qualcomm averaged 16 percent. At Xerox, it was another story. Research and development costs averaged 4 percent, while return on invested capital was 2.5 percent. Given that the typical cost of capital for a tech company is at least 8 percent, these figures would suggest that Xerox is earning less than its capital costs. The economic profits at the three companies were also disparate. While all three generated net income over the last five years, a different picture emerged when MVC adjusted those earnings for the amount of all capital necessary to run the business. While economic profits at Qualcomm and Google were around 70 percent of reported earnings over the period, economic profits at Xerox were negative. Finally, MVC tallied the executive pay at these companies. Compensation for top executives was certainly larger at Google ($462 million) and Qualcomm ($280 million). But when judged as a percentage of the company’s economic profit over the five years, the pay amounted to 1.6 percent at Google and 2.3 percent at Qualcomm. In Mr. Van Clieaf’s view, those two companies’ executives earned their pay. In Xerox’s case, the company paid its top managers $165.7 million over five years, even though its economic profits amounted to a negative $1.65 billion. Karen Arena, a Xerox spokeswoman, declined to comment on Mr. Van Clieaf’s findings. But she said 96.4 percent of investor shares voted at the latest annual meeting were in favor of its executive compensation program. Another problem with performance stock grants, pay consultants say, is that an award’s size is typically decided at the start of a year, well before shareholder returns for that or future years can be measured. Because most stock or option grants are expressed as a multiple of an executive’s salary, a falling share price during the year means that a larger amount of stock will be handed over when the award is made. In other words, the loss of value is compensated for with a gain in the amount of stock granted. For many shareholders, stuck with the reality of a declining share price, that may seem unfair. To eliminate this problem, James F. Reda, an independent compensation consultant in New York whose firm is a unit of Gallagher Benefit Services, suggests that company boards allocate awards at or near to the end of the year so that total shareholder returns can be assessed more easily. He has pitched this idea to various boards. “A lot of directors say, ‘That makes perfect sense; why don’t we take a look at it,’ “ he said. In an article this year in the Journal of Compensation and Benefits, Mr. Reda and two colleagues studied pay at 334 large companies and found that more than two-thirds made stock grants in the first two months of their fiscal year. That leaves 10 months before shareholder returns can be analyzed. Looking at shareholder return rankings of 173 companies in 2011, Mr. Reda found that the median change in a company’s ranking from February to December was 25 percentage points. By contrast, the median change in ranking from November to December at these companies was 7 percentage points. In other words, companies making grants in the last month of a fiscal year can be much more confident about their shareholder return position than companies granting early in that year. Some companies have already started shifting their stock award timing to the end of the year. Mr. Reda identified energy companies, such as Anadarko Petroleum, Exxon Mobil and Valero Energy, among those making late-year grant decisions. Others include Coca-Cola Enterprises, Federated Investors and Stanley Black & Decker, as well as St. Jude Medical, a medical devices company, and Ecolab, a maker of cleaning and maintenance products. Obviously, the pace of change in corporate pay practices has been glacial, even as the growth in pay has exploded. Dysfunctional performance metrics are a root cause, experts say. Not in our lifetimes, but in our children’s, perhaps? A version of this article appeared in print on June 30, 2013, on page BU1 of the New York edition with the headline: That Unstoppable Climb in C.E.O. Pay.